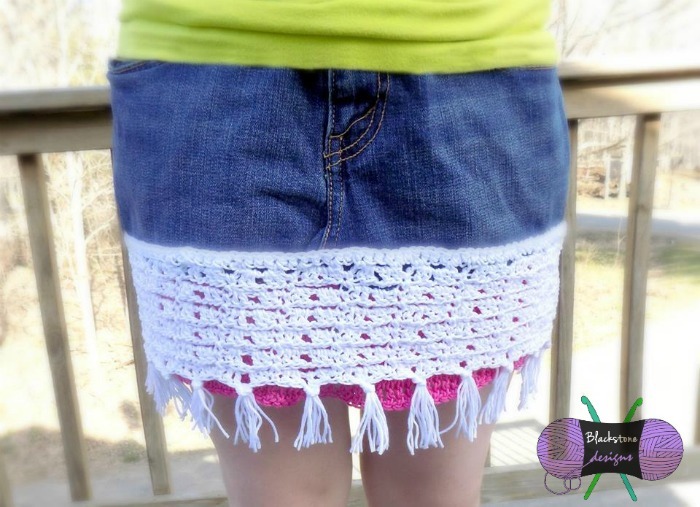 Turn an old pair of jeans into a fun new skirt by making a few simple cuts and adding a crochet edging. © 2015 Sonya Blackstone Do not sell, share, or modify this pattern. You may sell items you make with this pattern. This pattern, as with all Blackstone Designs/Sonya Blackstone patterns, are not for educational use without written permission from the designer. Online users please link to me when sharing your creations. All rights reserved. Woman’s Size 6 written, with instructions on how to make it for any size. Instructions to make this skirt in other sizes is under finishing. The outer trim pattern is worked in multiples of four. 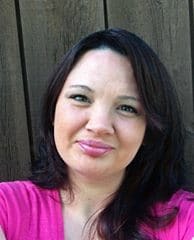 Sonya Blackstone is the owner of Blackstone Designs. She has been crocheting for 15 years. Her favorite things to design are clothing and accessories. You can find her on Facebook, Ravelry, and on her blog.